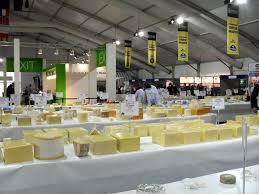 One of the larger Cheese shows, with a gut busting 4,592 cheese from around the world entered in over 300 classes and a gang of expert judges will have the enviable task of choosing the winners. They are like the cheese equivalent of Santa’s elves in Lapland; everyone has a task and it runs like clockwork! Part of the Nantwich Show, the Natwich Cheese Awards are a highlight of the Cheshire summer calendar, with entrants travelling from all parts of the country, along with International entrants from all over Europe and beyond. The Global Cheese Awards held at Frome Agricultural & Cheese Show have been well known for 150 years as the "Frome Cheese Show", one of the oldest cheese show's in Britain. 2011 saw the first Global Cheese Awards and was a phenomenal success, the classes had been expanded enabling international entries to be associated with the historic Frome show. Going International resulted in increased entries, with entries increasing by 60%. Classes are extensive; and range from Best West Country cheese to Best European, and Best Overseas and Regional classes amongst others. The world’s most expensive cheese board was on show today, with a centrepiece from the equine world’s least glamorous animal. There is certainly a whiff of money about the eight types on the board – which costs an eye-watering £841.10 and includes donkey cheese and a gold-studded cheddar. 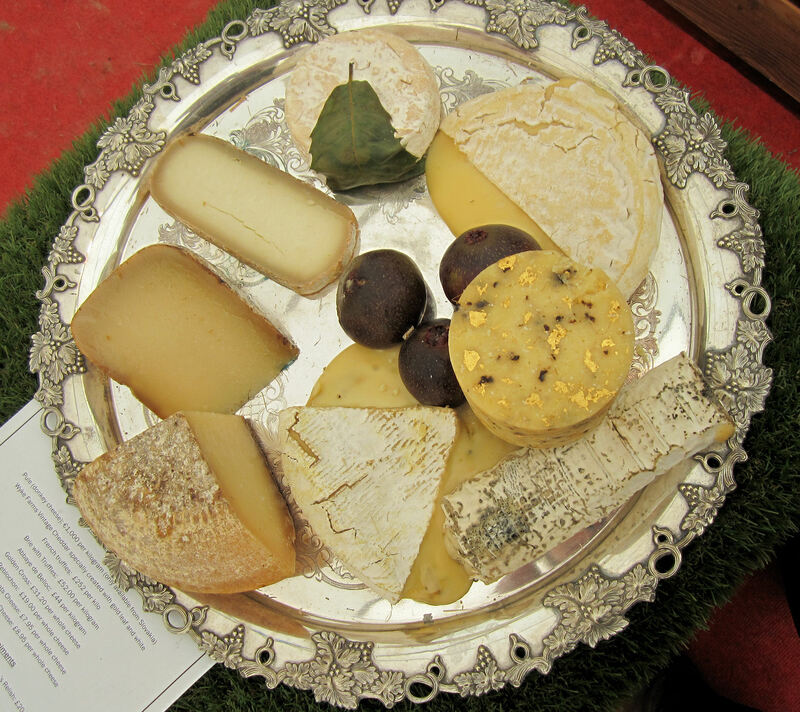 The culinary delight was unveiled yesterday at the Global Cheese Awards, which precede today’s Frome Agricultural and Cheese Show. It boasted 76 classes and more than 1,160 entries with plenty of international competitors. And as if the £50 cost per mouthful was not enough, the board and accompaniments with which the rich-list cheese is served takes the total bill to more than £2,000. The Worlds most expensive Cheeseboard? But despite all the hubbub about the expense, it is reassuring in these restrained times to hear that the overall prize went to a humble but tasty Cheddar from Somerset, and you can buy it here. The board contains a sliver of Pule cheese, made to order from Serbian donkey milk at £800 per kilo, and a gold-encrusted white truffle vintage local Wyke Farms’ cheddar, at £242 per kilo. Pule is the most expensive cheese in the world because it takes 25 litres of milk, from donkeys grazing on the Zasavica nature reserve, near Belgrade, to make just one kilo of the smoked cheese. The recession-busting platter is served on a solid-silver tray, worth almost £600, and a handcrafted wooden board costing £120. A £445 solid-silver knife and scoop will help transfer £32 ash-encrusted goats’ cheese onto £10 artisan Swedish crispbread. Abbaye de Belloc, an unpasteurised sheep’s cheese traditionally made by Benedictine monks in the Pays Basque region of France, is included. Nigel Pooley, chairman of the Global Cheese Awards, is not expecting a rush of takers but hopes it will showcase the art of cheesemaking. And despite the hubbub and the international competition, the Global Champion Cheese award was won by Keen’s of Wincanton with a traditional mature cheddar. Reserve was Dairy Crest’s Davidstow creamery with a mature cheddar.